Do you wish you could be more persuasive and confident when giving presentations; when networking at business functions; when motivating co-workers—your husband or your children? The Speaking Machine Toastmasters is dedicated to helping you find your voice. 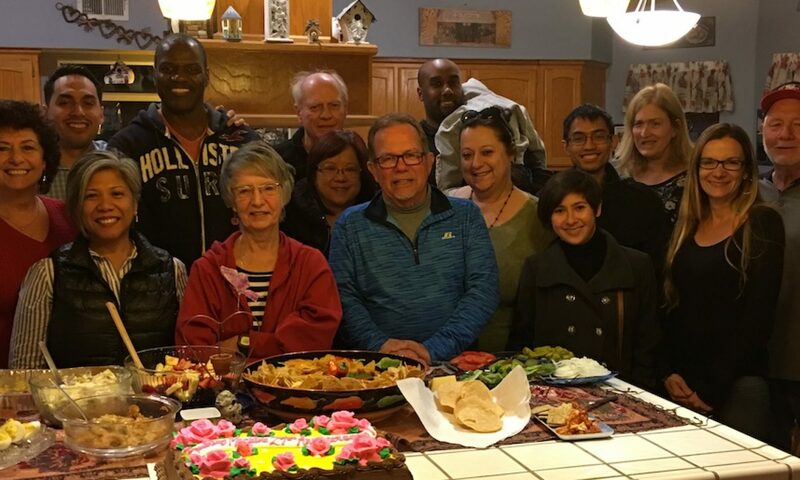 We chartered in Elk Grove in 1988 and have helped hundreds in our community gain the confidence and skills to speak and communicate well in a warm, friendly and secure atmosphere. The members of the Speaking Machine Toastmasters are dedicated to the mission of Toastmasters International. The mission of a Toastmaster Club is to provide a supportive and positive learning experience in which members are empowered to develop communication and leadership skills, resulting in greater self-confidence and personal growth. Membership to Speaking Machine Toastmaster Club will give you the skills and confidence you need to effectively express yourself in ANY situation. Whether you are a professional, student, stay-at-home parent or retiree. Toastmasters is the most efficient, enjoyable and affordable way of gaining great communication skills. Even experienced speakers can benefit from our proven training programs. By learning to effectively formulate and express ideas, you open an entirely new world of possibilities. You’ll be more persuasive and confident when giving presentations, and you’ll improve your one-on-one iterations with others. At Speaking Machine meetings, everybody talks—that’s why you’re there! You’ll build “quick-thinking” skills as you present a 1-2 minute impromptu speech during Table Topics. Soon after, you’ll introduce speakers, give prepared speeches, conduct the meeting, and perform many other roles in the club. But do not FEAR! Everyone in our club is assigned a mentor who will help and support you through all of these roles throughout the process. Everyone in our club is assigned a mentor who will help and support you through all of these roles. You’ll improve just by speaking regularly. The key to the Toastmaster learn-by-doing program is constructive evaluation. An evaluator will be assigned to you each time you give a prepared speech. Your evaluator will point out your presentation’s strengths and offer suggestions for improving your next speech. At first, you will be recognized for your effort; later you’ll be recognized for your skills! Toastmaster International is the most efficient, enjoyable and affordable way of gaining great communication skills. Toastmaster international offers leadership training and recognized the need for effective leadership worldwide. You can’t learn to be a leader in just one day; it takes practice. You’ll learn to build your leadership skills by organizing and conducting meetings in our club and motivation others to help you. You can also build leadership skills by working on a project related to your personal or professional life or by serving as a club leader in Speaking Machine. All under the guidance of a mentor.